The mesmerizing Ancient Thracian relief stone steles were found in a Thracian shrine dedicated to the sun in an area near Razlog known as Stolovatets. They were discovered by accident by a local villager back in the 1950s. According to archaeologists from Bulgaria’s National Museum of History in Sofia, the stone slabs with their ornate reliefs date back to the 2nd century BC. 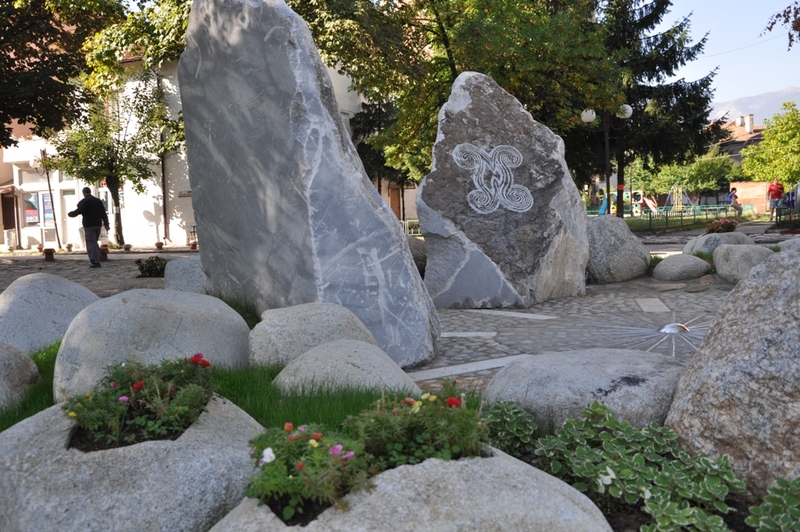 The Thracian reliefs have been restored as part of a local development project of Razlog Municipality started back in 2013. 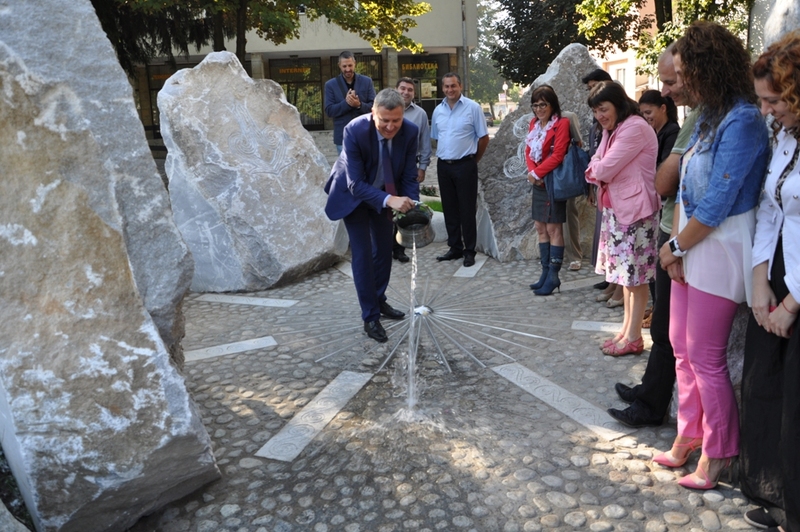 The project entitled “Preservation and Restoration of Material and Spiritual Samples of the Ancient Thracian Cultural Heritage in Razlog" provided, among other things, for exhibiting replicas of the Thracian relief steles in Razlog’s downtown. 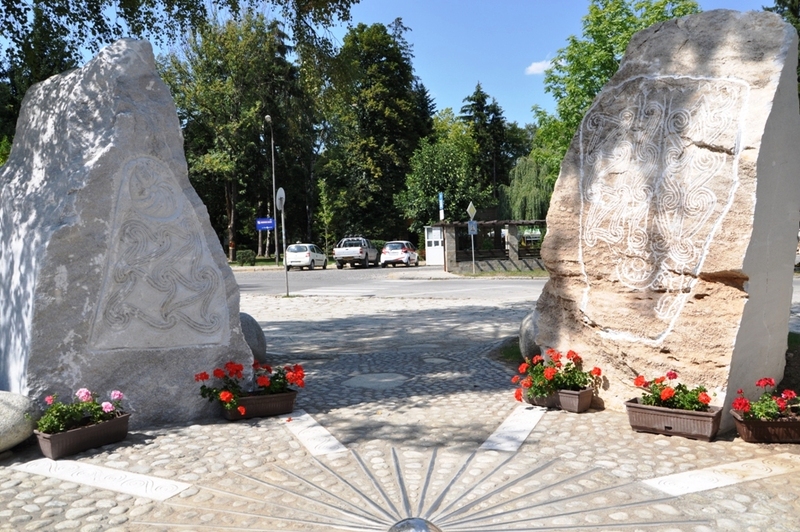 The replicas of the Thracian shrine steles which have been made as part of the project have now been exhibited for tourists to visit in front of the cultural club in Razlog’s downtown, Razlog Municipality has announced. The authorities in the southwestern Bulgarian town hope that the easily accessible ensemble of the Ancient Thracian slab replicas will bring about interest in archaeological monuments and the art and culture of Ancient Thrace. The area known as Stolovatets is located about 5 km west of the town of Razlog, Blagoevgrad District. The ruins of the Thracian shrine found there date back to the end of the Bronze Age and the beginning of the Iron Age. The large stone steles with relief decorations have been associated with the Thracian shrine’s dedication to the sun. Their reliefs feature intriguing ancient motifs such as triskelions (triskeles), i.e. 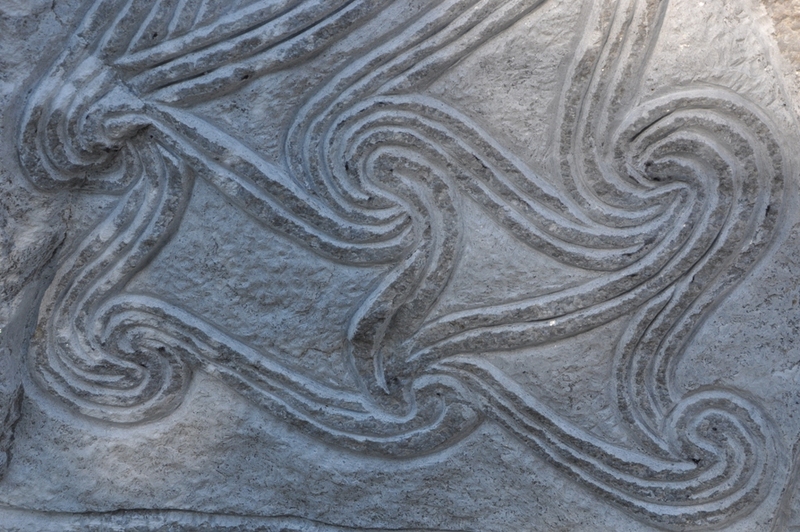 three interlocked spirals, and double spirals, all of which are ancient sun symbols, as well as the motif of a snake-like dragon interacting with a man. Learn more about the interpretation of the images on the Thracian steles from Razlog in the Background Infonotes below. Some Bulgarian archaeologists and historians have described the Thracian shrine in Stolovatets near Razlog as one of the few preserved monuments of the most ancient type of Thracian culture. 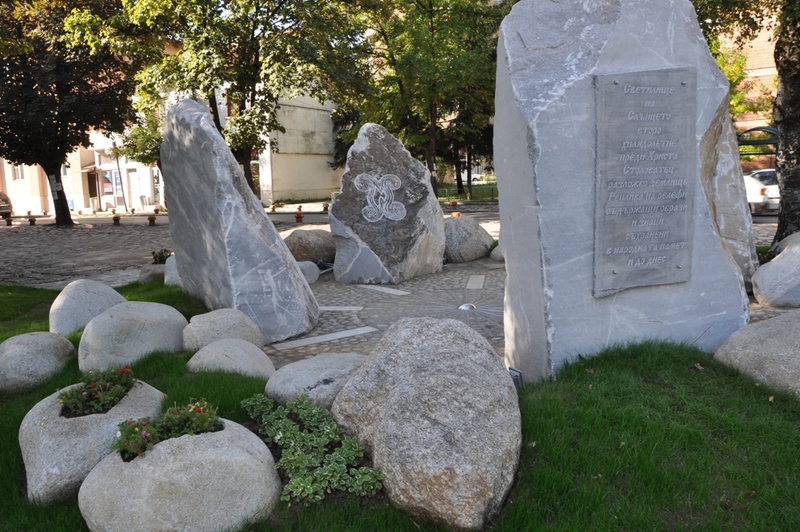 The archaeological ensemble which has been formally unveiled in the downtown of Bulgaria’s Razlog consists of exact replicas of the Thracian relief slabs found in the shrine. 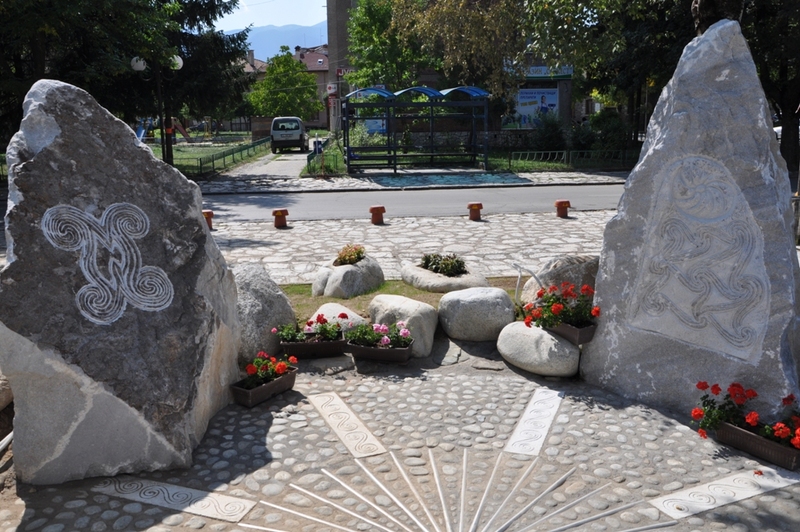 Razlog Municipality, which is right next door to Bulgaria’s largest ski resort, Bansko, hopes the recreated Thracian shrine will help promote cultural tourism. The Ancient Thracian shrine in the area known as Stolovatets is located 5 km west of the town of Razlog, Blagoevgrad District, in Southwest Bulgaria. Its ruins are dated back to the end of the Bronze Age and the beginning of the Iron Age. The site is known for the discovery of Ancient Thracian marble slabs or steles with ornate reliefs dedicated to the sun. It also features three Thracian burial mounds (tumuli) connected with the cult of the ancestors. The Thracian marble steles were found by accident in the 1950s by a local man who was plowing his fields. 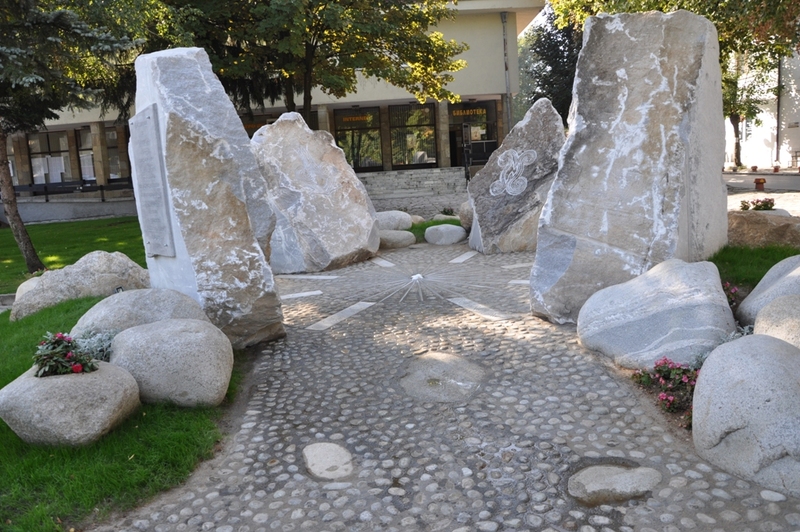 Tacho Tanev, a historian interned to the town of Razlog by the communist regime, recognized the archaeological and historical value of the finds. The Thracian shrine was formally excavated in the 1960s by Bulgarian archaeologist Goranka Toncheva who found the ruins of a building shaped like the Bulgarian letter П, with the steles having been placed inside the building in a way that the sun would shine on them. 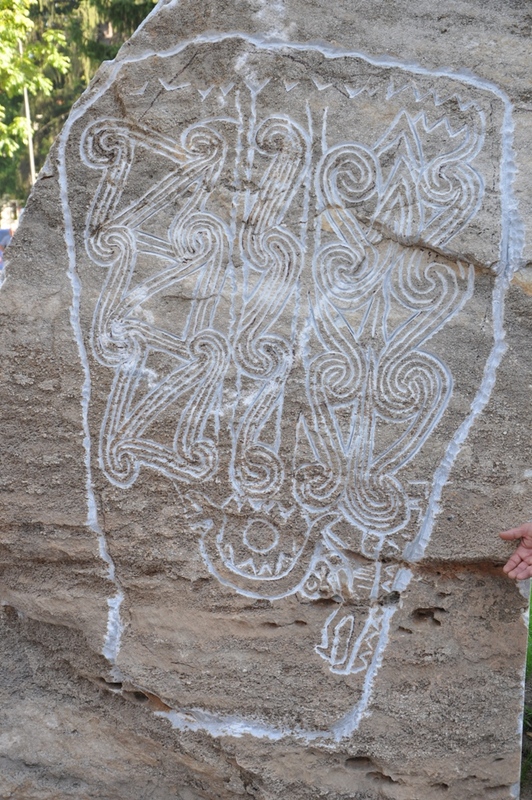 This positioning of the Thracian archaeological monument as well as the geometric motifs of the reliefs found on the slabs have led the archaeologists to believe that it was dedicated to the cult for the sun. The geometric motifs on the steles include triskelions (triskeles), i.e. three interlocked spirals, and double spirals, all of which are ancient sun symbols. The largest stone stele features a sun image in the middle of a two-headed snake-like dragon, with a phallic male figure in front of it sticking his hand in the dragon’s mouth. These are integrated into a large boat-like image. The interpretation of the images on the Thracian relief slabs from Stolovatets has been a matter of discussion among Bulgarian scholars. 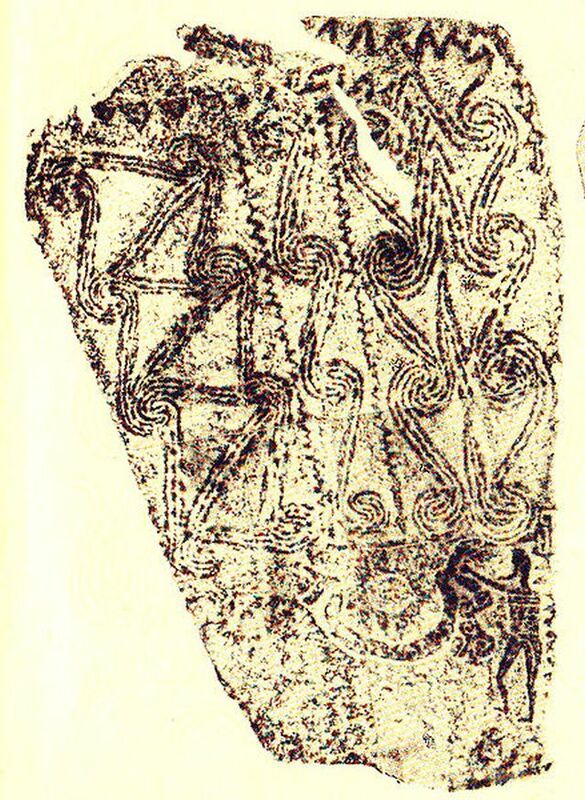 According to historian Prof. Vasil Markov, the sacred steles from the shrine near Razlog represent the spiritual life of the Thracian tribes of the Bessi, Satrae, Diobesi, and Dii who populated the valley of the Mesta River between the Western Rhodope Mountains and the mountains of Rila and Pirin in today’s Southwest Bulgaria. It is these Thracian tribes who are said to have been protectors of the original forms of the Thracian religion and religious cults. Markov believes that the image showing the male figure with its hand in the mouth of the snake-like dragon shows the passing of secret knowledge from the solar deity of the Thracians to the first Thracian king and priest who was the son of the solar deity and the Mother Goddess. Its meaning is said to be similar to that of the stele of Babylonian King Hammurabi receiving the laws from Shamash, the Mesopotamian Sun God. Markov also notes that some of the motifs featured in the Thracian reliefs from Stolovatets near Razlog can be found in Bulgarian folklore. These include the role of the snake-like dragon and the motif of the boat that the sun descends from the sky as a swing in order to entice and capture a beautiful young girl. He has hypothesized that the Ancient Thracian religious rituals from the shrine in Solovatets might have been connected with the summer solstice, or St. John’s Eve, when according to ancient mythology, the sun enters into a holy marriage. The triple and double spirals on the Thracian steles are seen as representations of the strong sun rays coming from the sky. Another Ancient Thracian shrine in the Western Rhodope Mountains – that on the Babyashka Mogila Mound near the town of Babyak – also features elements from the cult for the sun and the motif of the snake-like dragon. One of the original stone relief slabs found in the Thracian shrine in Stolovatets is kept in the Nikola Parapunov Museum in the town of Razlog, while the rest are kept in the National Institute and Museum of Archaeology of the Bulgarian Academy of Sciences in Sofia. 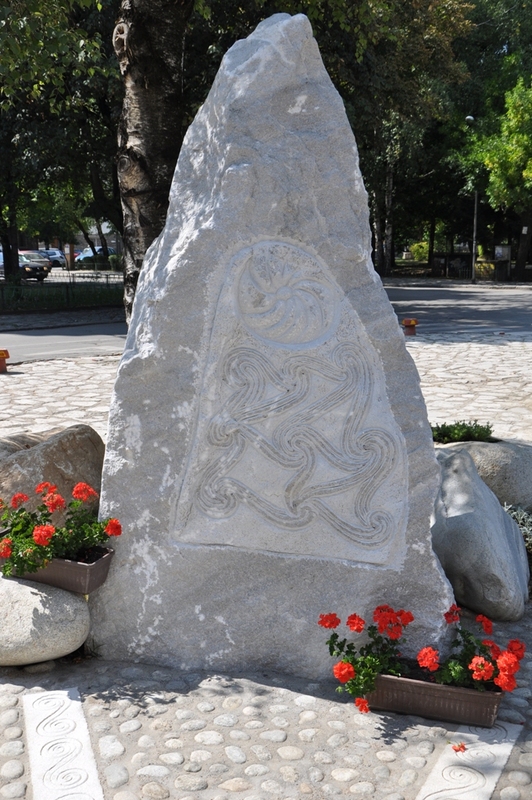 In 2013, Razlog Municipality started a project entitled “Preservation and Restoration of Material and Spiritual Samples of the Ancient Thracian Cultural Heritage in Razlog" which provided, among other things, for exhibiting replicas of the Thracian relief steles in Razlog’s downtown. The replica of the Thracian stele ensemble was formally opened in September 2015.